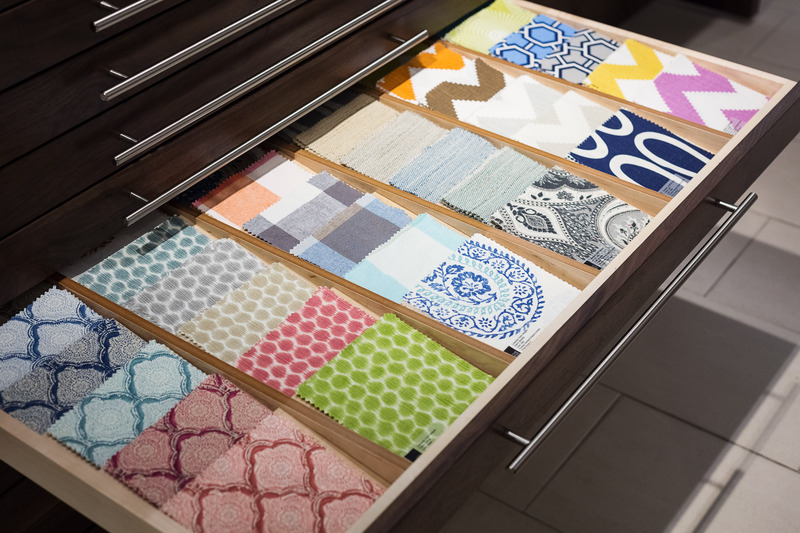 Summer 2016 ­– Kravet has teamed up with The Shade Store to bring the company’s custom shades, blinds and draperies to Kravet customers as a shop-in-shop in eight Kravet showrooms this summer. The Shade Store at Kravet will give customers access to its complete offering, which includes 11 categories of custom window treatments that are all hand-crafted in the USA by skilled artisans and ship free within 10 business days, or less. The first Kravet showroom to welcome The Shade Store shops opened July 18 in the Kravet D&D Building Showroom in New York City with additional shops opening this summer and fall in Naples, FL; Boston, MA; Dallas, TX; Los Angeles, CA; San Francisco, CA; Washington DC; and Philadelphia, PA, with swift plans to add Bethpage, NY and Chicago, IL to the list. The Shade Store will staff each location with window treatment design experts to assist Kravet customers who are looking to create custom Roman Shades, Drapery and Cornices using stocked materials and any Kravet fabric. Customers will also have access to the complete offering of The Shade Store materials for custom Roller Shades, Solar Shades, Woven Wood Shades, Wood Blinds and more. The Shade Store shop-in-shops will offer the trade exclusive discounts and nationwide measure and installation services. Kravet Inc., established in 1918, is the industry leader in to-the-trade home furnishings. This fifth generation family business distributes fabrics, furniture, wall coverings, trimmings, carpets and accessories. The family’s commitment to innovation has helped the company transform from a small fabric house to a global leader, representing brands and designers from all over the world. In 2015, Kravet Inc. introduced CuratedKravet.com, a to-the-trade only e-commerce site offering designers unique furniture and accessories curated from around the globe. Kravet Inc. owns Kravet, Lee Jofa, Groundworks, GP & J Baker and Brunschwig & Fils, all high-end fabric houses that specialize in style, luxury and exceptional design. With locations in North America and worldwide, Kravet Inc. offers the highest level of customer service, quality products and web technology for today’s design professional. For further brand information, please refer to kravet.com. The Shade Store is a third generation family-run, custom window treatment company with a rich heritage in luxury textiles and interior design, dating back to 1946. Its exclusive collection of more than 900 fabrics and materials provides customers with an unparalleled level of style and customization options. Every window treatment is handcrafted in the USA by a skilled artisan, hung and tested for quality assurance and ships free in 10 days or less. 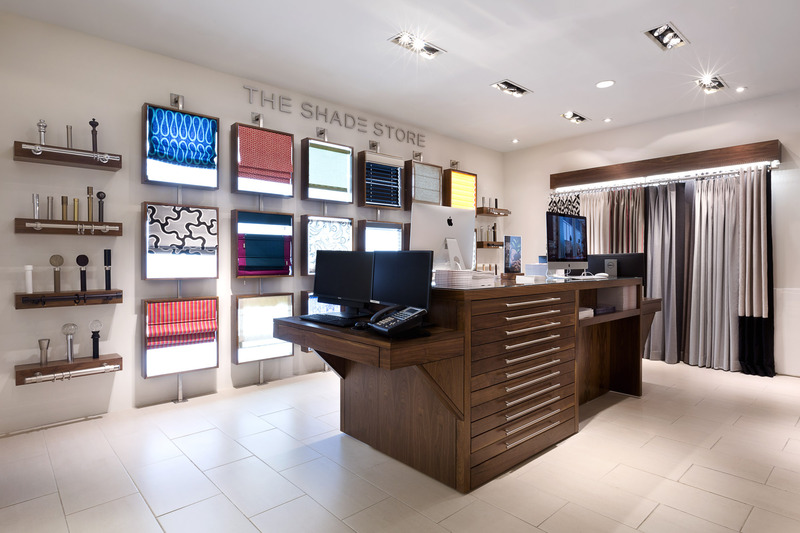 The Shade Store offers a complete range of design services for consumers and design-trade clientele, including free swatches, photo rendering services and nationwide professional measure and installation services. 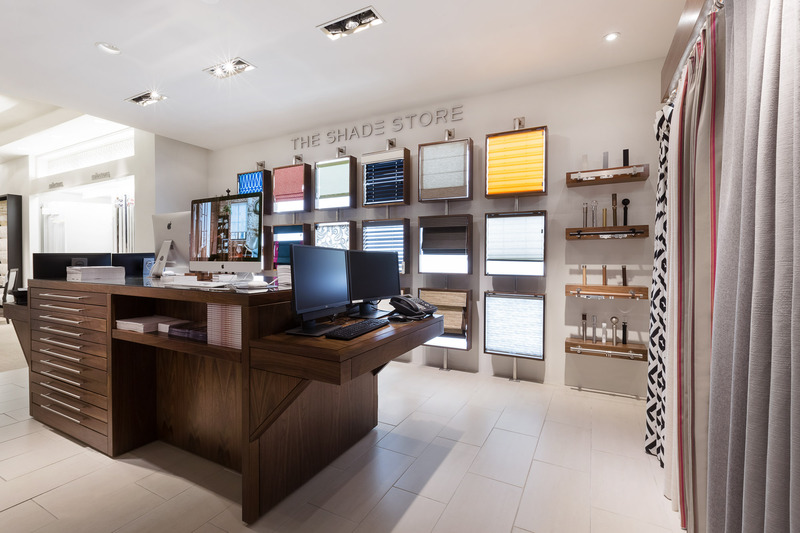 The Shade Store has 41 showrooms nationwide. Additionally, The Shade Store is an advocate for environmental sustainability and for every purchase made the company provides the ‘gift of shade’ by planting a tree in partnership with the Arbor Day Foundation. For more information on The Shade Store, please visit www.theshadestore.com. «To Drape or Not to Drape – When Are Curtains the Right Choice?